Not all dentists are the same. Some will treat you just like every other person who walks through the door. They’ll make you wait, rush you into the chair, give you a grumpy ‘hello’, and speed through your appointment as quickly as possible. At eDental Perth, we’re not like that. We’re different. We treat you like we care. Why? Because we really do care! We’ll never rush you. We listen to you, we care about you and we work with you to look after your teeth. During your visit, our qualified, experienced and friendly staff will devote their time to understanding your concerns, expectations and thoroughly explain all your options to improve your oral hygiene and remove any pain caused by your teeth and gums. For a personal and affordable approach to dental care and oral hygiene, call 1300 467 112 now to book your appointment. We strongly believe prevention is key to achieving a beautiful, healthy smile. Look after your teeth and they’ll look after you. Before any treatment begins, our philosophy is to always take the time to sit down with you to discuss your medical history, any problems you are experiencing and your goals for a healthy mouth and a fantastic smile. Together, we’ll create a custom treatment plan to help you retain your natural teeth for decades to come. We understand going to the dentist can still be nerve-wracking for people of any age. That’s why we always take plenty of time to provide clear information and caring support for our patients to make sure you’re comfortable and looked after. We prefer to be proactive about dental care to prevent problems flaring up in the future (costing you more). We look to minimise pain and discomfort during all our consultations. 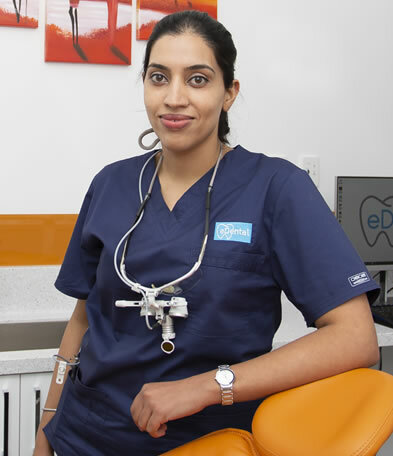 Our team are experts in oral hygiene, crowns, bridges, implants, and teeth whitening for a brighter smile. We hope you never need urgent dental care. However, if you do, we offer an emergency service to give you peace of mind. We’re OPEN 7 DAYS A WEEK, making it easier for you to book an appointment at a convenient time. Our clinic also offers same day appointments for all emergencies, and we have free parking for clients on-site.